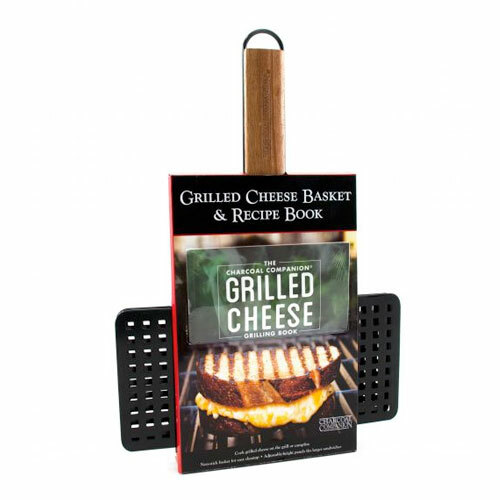 Grilled Cheese Basket & Recipe Book Set | Patio and Hearth Co. The comfort food classic ventures outdoors with this recipe book, “Grilling Grilled Cheese.” More non-traditional foods are being cooked outside on the grill, and grilled cheese sandwiches are no exception! With this book, you’ll learn tips and techniques for cooking up your best grilled cheese, especially over the high heat of the grill. This book includes 21 delicious recipes with gorgeous, full-color photography to entice and inspire. Inquire about Grilled Cheese Basket & Recipe Book Set using the form below.